Recently we brought you a list of arguments that Marvel fans will never stop having, and another of disagreements that DC fans can never seem to avoid. Comic book enthusiasts are not the only devoted subset of fans that have regular quarrels over one point or another, not by a long shot. As beloved as Star Wars is, and as fanatical as its fans are, you just know there are bound to be some serious disagreements, despite their shared interests. With Star Wars: The Force Awakens on the way, and that galaxy far, far away getting ready to expand like it never has before, it’s the perfect time to run down some of the biggest, nastiest, most vicious disagreements that Star Wars fans regularly get into. There has been name calling, friendships ended, and little to no resolution on most of these, but it still sounds like fun to us. So sit back, read on, and sound off with your own opinions below. The true nature of who shot first in the cantina in A New Hope, Han Solo or the Rodian bounty hunter Greedo, may be the most vehemently contested argument that Star Wars fans have. When George Lucas went back and mucked with the theatrical cuts of the original trilogy, he changed this scene. 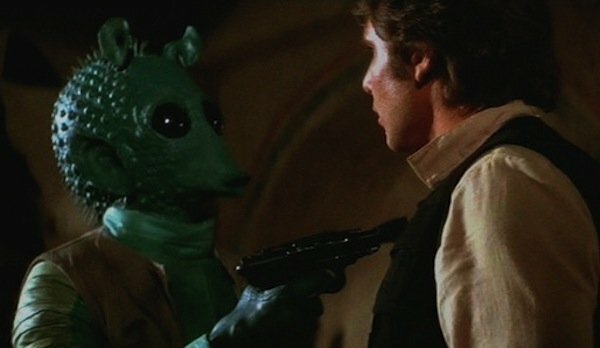 Originally, Han simply blasted Greedo without warning, while in the special editions, Greedo draws and shoots first, and Han returns fire, using lethal force only as a means of self defense. Lucas maintained that this was always how he intended the scene to unfold, tough there is debate about that fact based on earlier drafts of the script, and fans haven’t stopped arguing about it since. While it may, on the surface, seem like a relatively minor change, many fans argue that it indelibly alters Han Solo and his arc through the movie and even the trilogy. The guy fans first meet at the Mos Eisley cantina is a rogue, a smuggler out for number one; in short, not a very nice fellow. He’s the kind of guy who would shoot first, whereas firing only in self-defense makes him much less of a scoundrel, and some feel that it waters down his character and makes his evolution throughout the picture that much less dramatic. Whatever your stance, if you start this argument, make sure your talking points are in order and that you have a few hours to spare, because things can get intense and time consuming when discussing the ramification of who shot first. 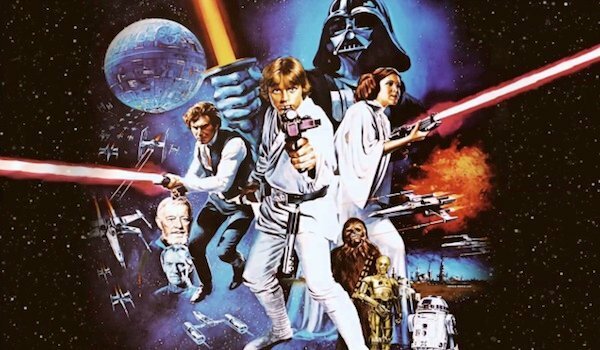 As it is with most franchises, the which-movie-is-the-best argument is the granddaddy of them all, and you can make a compelling case for all of the Star Wars movies. Or most of them; even of the most diehard prequel acolytes, there are few among them that contend they are the pinnacle of the saga. A New Hope is obviously the beginning of something larger, it is the movie that sparked imaginations, and, taken as a single entity, it is the one with the most complete, satisfying arc. Then there’s The Empire Strikes Back, which is generally regarded as one of the greatest sequels ever made. It’s grim, bleak, has one of the best cinematic reveals ever committed to celluloid, and ends on a total bummer. But it’s also moving and powerful and marks a turning point in the franchise. 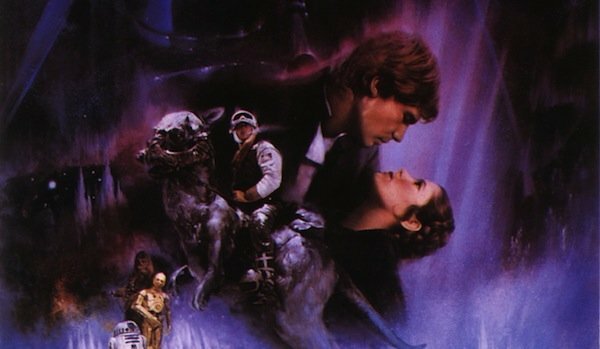 It all leads up to Return of the Jedi, and the thrilling, climactic battle of good versus evil over the forest moon of Endor as Luke, Leia, Han, and company try to take down Death Star 2. Like with any good argument, there are cases to be made for all three parts of the original trilogy (though that may hinge on your appreciation, or lack thereof, for Ewoks), and in the end, it really boils down to personal preference. 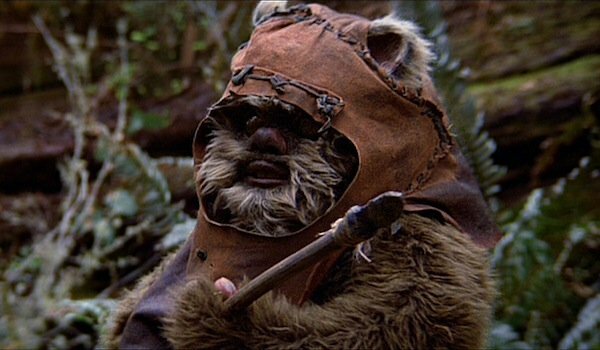 Ewoks: Love Them Or Hate Them? The Ewoks may be ferocious warriors who contemplate roasting some of our heroes alive over open flames, but they’re also cute, cuddly, and provide moment of wacky comic relief. And depending on your stance, they’re either a great addition to the canon, or a cloying, obnoxious intrusion that makes Return of the Jedi feel more like a movie for kids than an epic intergalactic adventure for the ages. The biggest divide over the Ewoks seems to revolve around age (as broken down by Barney Stinson on How I Met Your Mother). Those who were a little bit older when they first experienced the original trilogy tend to view them with a level of cynicism, looking at them as if they were only designed to sell toys and Halloween costumes. Younger fans, those who may have come to the trilogy a little bit later, especially those for whom Jedi may have been their earliest exposure, usually view them as something much less sinister. Granted, those are two extremes, and there are myriad shades of grey to be found, but this is a debate that still rears its head even decades after the fact. Why Do Stormtroopers Have Such Terrible Aim? 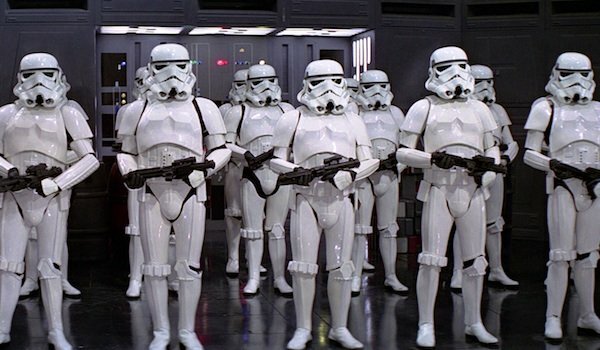 Stormtroopers are known for many things: spotless white armor (even in the woods somehow), being cold-blooded killers, and for having terrible, terrible aim. Seriously, Luke may be too short to be a stormtrooper, but his competent marksman skills have a greater chance of giving him away than his height ever did. In A New Hope, Obi-Wan remarks that "only Imperial stormtroopers are so precise" with their blaster fire, but that’s the only indication we ever get that they’ve ever shot a gun before their thrown into battle. And people love to debate the various theories on why stormtroopers are, across the board (surely there’s like snipertrooper or something), such horrible shots. Are they simply poorly trained? Are they just as incompetent as the script and circumstances demand? Can they just not see out of those damn helmets? Are blasters the most difficult to aim firearm ever designed? Or are they, as rank and file Imperials, often coerced into joining or otherwise serving against their will, trying to miss as an act of minor rebellion? There are million possible reasons, and people love to spout off about their favorite. Hopefully the new recruits in The Force Awakens will have better aim. It’ll make things much more interesting and exciting. Are The Prequels Great Or Terrible? Few things are as debated among Star Wars fans as George Lucas’ as the value of the much-maligned prequels. Starting in 1999 with Episode I: The Phantom Menace, Lucas churned out a trio of films that largely disappointed and annoyed earlier generations of fans with their ubiquitous green screen work, cloying characters (the sheer malevolence piled on Jar Jar Binks is shocking), and Darth Vader’s predecessor Anakin Skywalker painted as a whiney brat, among many other issues. Taken on their own, the three films each have their own triumphs and failings, but as a whole, they are largely despised. That said, there are still passionate fans and defenders of the prequels out there. Despite a subpar Anakin and plots more about trade disputes than good versus evil, there are those who praise the political story, the moral dilemmas the characters face, and the general world building—there is, admittedly, much more in terms of new planets, feel for this universe, and background, especially where the Jedi and Sith are concerned. Much like the Ewoks, this argument appears to be largely split down age lines—those who experienced the original trilogy as it happened take a darker view of the prequels, while younger viewers look on them more kindly. Like most of these disputes, this isn’t one that will be settled any time soon, and ultimately boils down to the individual. Perhaps we’ll be having similar arguments about the new Episode and Star Wars Story movies over the next few years. What’s The Deal With Midi-chlorians? The prequels contain a number of things that anger many fans, from weirdly racist caricatures to the characterization of Anakin, supposedly a "great man," as a moody little asshat. But of all the elements that raise fans’ hackles, few make them bristle like the mention of Midi-chlorians. 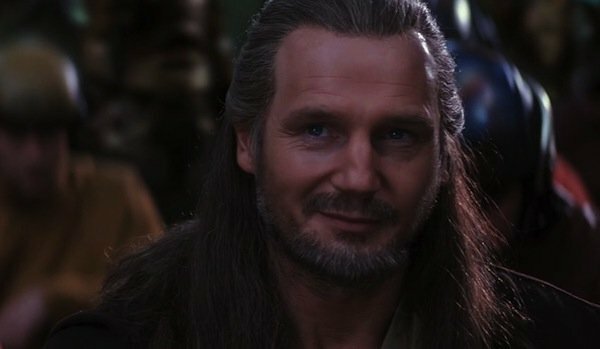 In The Phantom Menace, Liam Neeson’s Qui-Gon Jinn explains, in detail, precisely what the Force is and where it comes from. These are Midi-chlorians, intelligent microscopic life forms that flow through all living beings and, when present in large enough quantities, give their host the powers of the Force. To be honest, I don’t even know if this is an argument. 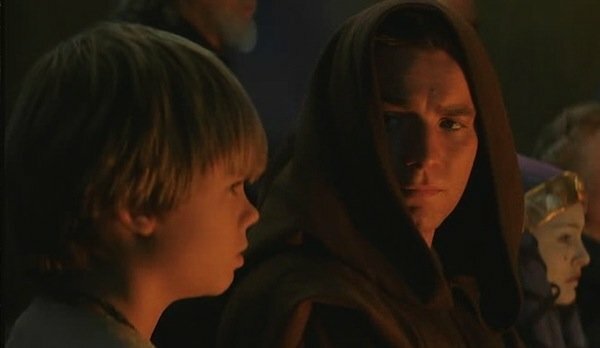 Before Midi-chlorians, the Force was a magical, mystical, religious component, and Midichlorians turned it into nothing more than a biological phenomenon. They’re not mentioned in the original trilogy, and even among the most diehard prequel defenders, you’ll be hard pressed to find many pro-Midi-chlorian fans out there—I’m sure there must be some, but they are few and far between. J.J. Abrams has even come out and said that, in Star Wars: The Force Awakens and the subsequent films, there will be no mention of Midi-chlorians, leaving them the dubious status as perhaps George Lucas’ greatest misstep in that far, far away galaxy. In What Order Should You Watch The Films? Normally, when a franchise has six installments (not to mention a variety of TV shows, comics, books, and more), the obvious way to watch them is start with chapter one and move on from there. Things are not so cut and dried with the Star Wars saga, however. The original trilogy—A New Hope, The Empire Strikes Back, and Return of the Jedi—are chapters four, five, and six, while the prequels, the second trilogy—The Phantom Menace, Attack of the Clones, and Revenge of the Sith—are one, two, and three; and the order in which you watch them, has a big impact on how you experience the saga. Starting with Episode I, you get the linear effect, experiencing the saga from beginning to end, like reading a history book. However, you also miss out on some of the best parts of the franchise. Any mystery and magic surrounding the Force and what it really is, gone, that’s explained away in The Phantom Menace. Watching like this also ruins one of the greatest reveals in movie history. Watching beginning to end, you know ahead of time the true nature of Darth Vader and Luke Skywalker’s relationship. And those are just a few examples. Most advocate watching the Star Wars movies in order of release, though it is a subject of debate. J.J. Abrams: Savior Or Death Knell? This one is more of an argument that I expect to begin in earnest this December, and that Star Wars fans will continue to have well into the future. J.J. Abrams is a hugely divisive filmmaker; some viewers love his brand of pop sensibility, while others like to call him a hack who uses too much lens flare and ruined Star Trek. His heavy involvement in revamping the Star Wars universe has already drawn criticism from many, and we haven’t even seen Star Wars: The Force Awakens yet. Abrams is obviously a huge Star Wars fan and is doing everything he can not to screw this up for everyone—and from the admittedly small pieces we’ve seen thus far, his efforts look solid—but even if knocks it out of the park with The Force Awakens, there are always going to be those who hate on him for a variety of reasons. We’ll have to wait and see how this turns out, but even if he delivers a film most fans love, there will still be those who refuse to accept him. We’ll have to wait and see whether he delivers the goods, or drives the franchise into the ground. Which One Of These Arguments Have You Had The Most? 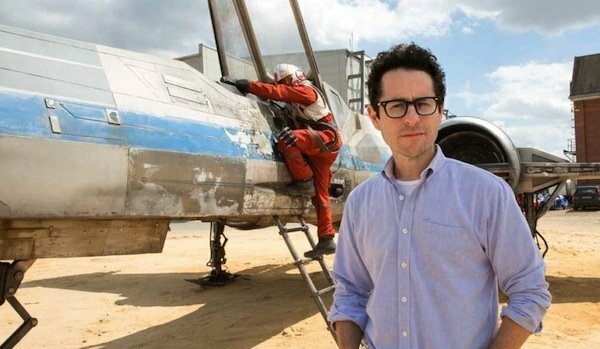 Will J.J. Abrams Resurrect Or Destroy Star Wars? What Order Should You Watch The Star Wars Saga In? What's The Deal With Midi-chlorians? Why Do Stormtroopers Have Such Awful Aim? Do You Love Or Hate The Ewoks?